My Blogging Journey: How To Start Using Good Blog Post? Blogging is an art which many of us enjoy and others do it for their business aspects. In the long run, many of us desire for our blog posts to grow to a certain level where they are categorized as good. The interpretation of good will vary from person to person, but we have some industry standards and our common intuition which guides us. Are we blogging not good enough? The answer often lies in discovering our lacking. When I started blogging I often thought, the idea is always to convey my message without boring readers with endless streams of word. However as I grew over years, I realized it was just a misconception. I developed a habit of reading books from my sister and I realized, if my blog post shares a story and connection, people will love to read more. Indeed they will enjoy their reading experience. Countless research of blogs lead to me many great bloggers like Darren, Neil Patel. Their persona captured me and most importantly, I was learning a lot from these guys and many others. Thee guys were doing the blogging business, writing compelling content and engaging with readers at a very superior level. I have came from my journey of 100 words to over 3000 words blog posts. But, what is the use if the content is crap and rubbish. We as bloggers often try to make our content seem longer, but if we fail to provide quality and entertaining experience, we lose readerships. As per Hubspot, 55 percent of visitors only spend less than 15 seconds on our blogs . The data is simply mind blowing. Definitely we can't fulfill everyone coming to our blog posts. It should at least provide the answers to many of them. Here comes the role of generating good blog post. If you haven't started thinking about it, then perhaps you are not willing to grow. No matter your success or knowledge, if you stay somewhere for long, you are bound to become stagnant. Lets challenge ourselves to create a post which is rich in quality, good enough to be read almost in its entirety. It is no wonder images are the core element of a blog post. Why? Many of the readers scroll down by getting an idea from the image and introduction. Fail in that and you will be left with less readerships which could have turned into loyal subscribers. People loves visual element like images, videos and infograph, they share it a lot. Sometimes they share a piece of content based on its visual element and skimming of blog posts. So it becomes a mandatory to include at least one image in your blog post. That is an average blog post. How to make it a good one? Don't fill the post with unnecessary images, use screenshot if you are talking about data, images with emotions and smiling persons perform better. You need to take your visual appeal of the blog post to a new level. If you are using stock photography, modify it, insert a quote in it. Add some drawings, if you have the budget, hire a designer for every blog posts photo. It might be costly and time consuming to do so, but worth every penny. The experience people will receive through your writing will be above par. These days people want more of everything and you need to provide it to your full potential. When someone comes to your blog posts, they must feel awesome with the photo and it should convince them to read the blog post. Be innovative, use more resources and keep experimenting. Some use pencil drawings, while others human photos while others text and some illustrations. The angle which gives you the best ROI will take you further with your blog post. Stick with it once you do your A/B testing. This is something which is a learning area. When we start blogging on specific topic, we are simply passionate about it. However in the long run, we need to grow our knowledge and become an industry expert to sustain our writing skills. If we need research a lot before writing, then either you are a new blogger or haven't worked on your skills over years. You should know about the topics you write without much thinking. And it should be something which sparks interest or informs people or solve their problem. Alright, you got the idea. Now how to train yourself to become an expert in industry. Do the following and you will be good to go. Read Blogs You Wish To Complement : There are already hundreds if not thousands of blog on topics you wish to write upon. Make a list of top ten blogs and read it to enhance your knowledge and learn from their writing style. Keep Yourself Update : No matter the industry you are in, your readers would love to read your take on the latest happening. 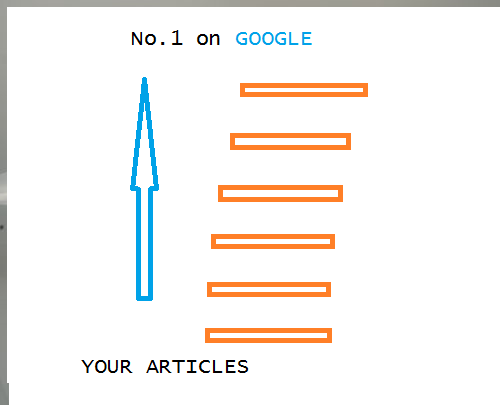 Make a Google alert for your topics and share your learning or opinion time to time. Do The Offline Stuff : Keep touching your topics offline in meetings with influential people, joining a classes or just experimenting. It is gradual process and once you are doing it as a ritual, you will grow into an expert and your blog post will be of superior quality. It takes time and it is rewarding in the long run. There are many ways of doing this, but the best way is to ask in the comment section, or just send a survey to your email subscribers. Your email subscribers are your loyal fans and they could guide you with the best possible answers. You can simply ask them your next blog post idea and let them answer what they want you to cover. When Spencer Haws asked his readers with their obstacle to start a blog, he was surprised with the number of responses. He collected the data and refined it and wrote a massive blog post about it. How it help? Your readers want their problems solved. Many times we try to deliver the value, but we lack in our readers eyes. Asking them helps us explore the problem from their perspective and we can do a better job at creating a blog post which appeal and help to maximum of our readers. As an ultimate goal, we need to strive to become better each day for our readers. They see our progress and they are the ones who will guide us in the long run. You may start doing this in your comment section when your reader base is small and growing. Remember those who comment take an extra effort to engage with you. Use this opportunity to your maximum benefit. The benefits of commenting can't be understated. Websites like hotjar and SurveyMonkey will help you capture your readers responses in beautiful manner. No matter the value you provide to your audience, in the end it is money that matters. The customers number should increase with each blog post being written. That is why you need to add the value, however keep your talk around your business. Not in every post you write, but in most of them. It is generally observed soft sales does wonders than trying to be pushy in each line. Pat Flynn does a great job in selling stuff honestly, there is really no other way out. Hint your products on the blog post, if relevant and let the readers wander and come to the sales page. Writing blog post like a routine is something you should do, adding the value part to enrich your audience is the unavoidable checklist and maintaining your brand name in readers mind is something you need to sprinkle. With honesty, quality and value, your business will bloom in the coming days. It depends and you should focus on doing your own trial and error method. The number of A/B tests you can do is up to you. Just make a professional analyze it and act upon the decision. There is no better to learn more about your ideal readers than performing various tests on them. 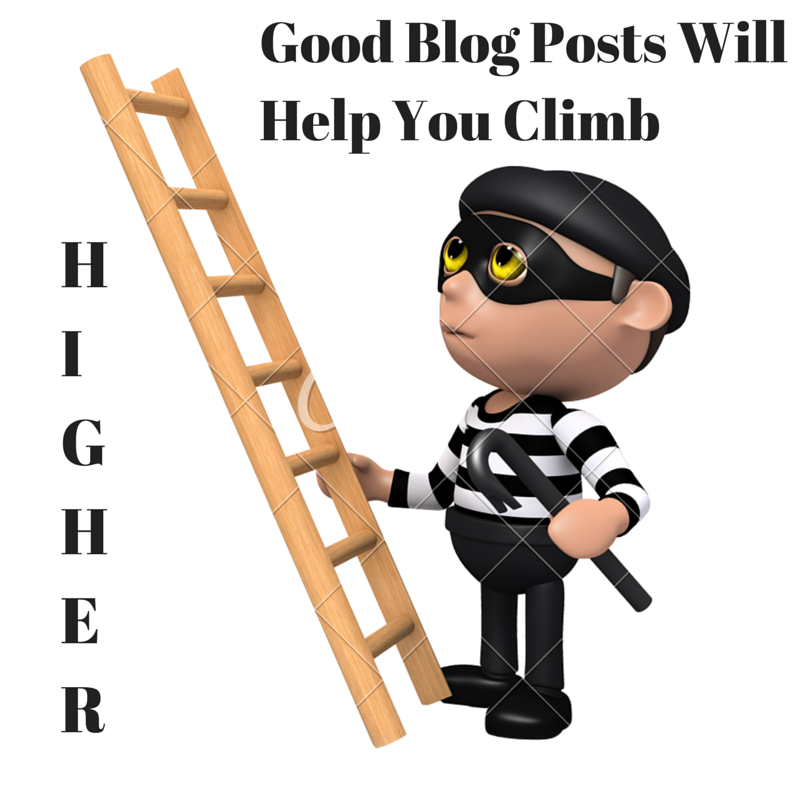 It will happen you might be enjoying good readerships through your blog posts. However there is always a scope for improvement, testing and finding the growth factor can help scale your business growth. For every business, it depends whether we should remember some checkpoints to better serve our audience. Neil Patel has beautifully written about things to keep in mind when writing for B2B or B2C. It all comes down to the after success you receive when you switch your blogging style or the way you connect with your audience. For every business there are exceptions, so fine tune your blogging method to better suit and scale the business at a desired level. Good blog posts can be short or hefty long, it can be funny and quick or intelligent and time consuming. The variant of good blog post can be seen in each section of the web. Adapt your writing for your readers, the more you write for them, the better your blogging would become. Writing a good post is a necessity to sustain in the every growing blog world. Each day millions of blog posts are published. Not each of them is good, only good stands out and is rewarded. Work on your blog posts and let it become something which people appreciate. How else can you write a good blog post?